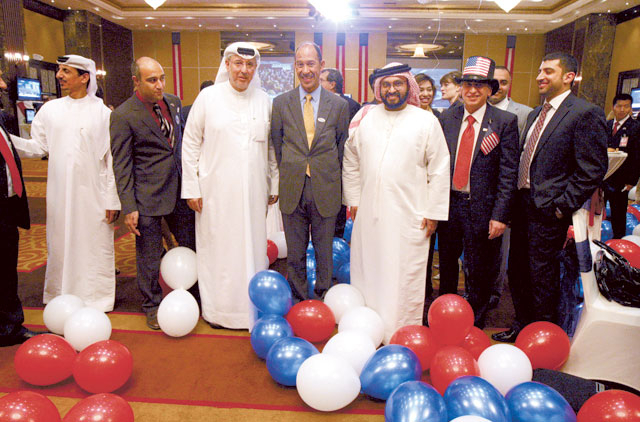 Dubai: US President Barack Obama’s re-election has elicited mixed views from UAE residents. Jordanian-American Hamad Yousuf, 40, who works as a journalist in Abu Dhabi, had an optimistic view regarding Obama re-election. However, in terms of the Middle East, Yousuf thinks Obama will stay out of Middle Eastern Policies. UAE national Ahmad Al Kaitoob, 22, studying Business Management Administration at the American University of Dubai, said he was glad Obama won. He believes that if Romney would have turned out to be another George W. Bush had he won. “I think that they are both bad in terms of their Middle Eastern policies. But I think that out of the two evils, Obama is the least evil. “Basically if Obama wins he won’t do anything regarding the problems in the Middle East, which is bad but if Romney [had] won, he would actually get involved in a negative way which is much worse. “In terms of how it is going to affect the US I also think that Obama is the better option as his focus is on education and health care while Romney’s focus is on rich people.” He added. Meanwhile, 22 year old Zeina Mofti, a Syrian American student studying Interior Design at the American University of Sharjah, said she is happy with the results of the election.